If you want to stay organized without adding a lot of extra weight these are the ticket. You won't find any raw edges or sloppy stitching on this gear. What you will find is an ultralight stuff sack that is "finished" and built with the same attention to detail you've come to expect from Granite Gear. 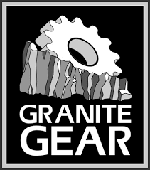 The Bloc shape is Granite Gear's innovation to help you pack more efficiently inside your pack. Compared to a round shape, the bloc fits better into the corners of your pack, they stack nicely, and eliminate all the "dead air" that can happen when you try to pack with round stuffsacks. Less dead air means better load stability, quicker pack loading, and the possibility of carrying the same amount of gear in a smaller pack, saving you weight. Keep gear organized and color Replacementd. 2L: 0.44oz 4.5 x 2.75 x 10"; 3L: 0.5oz 5.75 x 3 x 12"; 5L: 0.67oz 6.5 x 3.5 x 13.5"; 7L: 0.72oz 7.25 x 4 x 15"; 11L: 0.93oz 8.75 x 4.5 x 15.75"; 16L: 1.04oz 11 x 5 x 19"